Jesus returned to the Mount of Olives, but early the next morning he was back again at the Temple. A crowd soon gathered, and he sat down and taught them. As he was speaking, the teachers of religious law and the Pharisees brought a woman who had been caught in the act of adultery. They put her in front of the crowd. "Teacher," they said to Jesus, "this woman was caught in the act of adultery. The law of Moses says to stone her. What do you say?" They were trying to trap him into saying something they could use against him, but Jesus stooped down and wrote in the dust with his finger. They kept demanding an answer, so he stood up again and said, "All right, but let the one who has never sinned throw the first stone!" Then he stooped down again and wrote in the dust. When the accusers heard this, they slipped away one by one, beginning with the oldest, until only Jesus was left in the middle of the crowd with the woman. Jesus, as all Rabbis and teachers did, was at the temple teaching and talking with people. It was also part of the role of the rabbi/teachers to ascertain what to do in certain difficult moral and legal situations. As part of this role, the Pharisees dragged in an unknown woman charged with adultery. Likewise with the Samaritan woman, we don't know this woman's name either! The Pharisees were laying a trap for Jesus. If Jesus said to stone the woman, then the Romans could arrest Jesus, for it was Roman law that any death must be conducted by them and not by others. If Jesus says to release the woman, then the Pharisees would say that Jesus is contravening Scripture and the Law of Moses. So what does Jesus do? He writes in the dirt (John 8v6). We don't know what He wrote, but from the Greek word for write, we understand that He was seemingly writing a report and that when in he says in John 8:7 "If any one of you is without sin, let him be the first to throw a stone at her. ", He is in fact saying "If any one of you is without this sin, let him be the first to throw a stone at her." So if any of the Pharisees had not committed adultery, whether in the mind or the actual physical act, then they could have stoned her. As it was, they left one by one, the oldest first (John 8v9). He must have also been indignant at the way the Pharisees who were hypocrites were quick to condemn others, so maybe Jesus was reminding them of Jeremiah 17:13 - "O LORD, the hope of Israel, all who forsake you will be put to shame. Those who turn away from you will be written in the dust because they have forsaken the LORD, the spring of living water." So instead of passing judgement on the woman and also by eluding the trap of the Pharisees, Jesus passed judgement on the judges. Jesus having forgiven the woman of her sin, then charges her to leave her life of sin (John 8 v11). This reminds us that with the forgiveness of sin, comes a responsibility to live a life worthy of Jesus and to pursue righteousness. Jesus showed His compassion and forgiveness on the outcasts of their society. Jesus showed mercy and forgiveness and loved them. There is no room in Christianity for actions and attitudes that defy Jesus' ever-reaching and all-encompassing forgiveness and love. His Gospel, as he always shows, is for all people everywhere, regardless of gender, race, age, culture or social status. Again, I ask, who do you say Jesus is? But further, what are you going to do with this Jesus and let Him do to you? 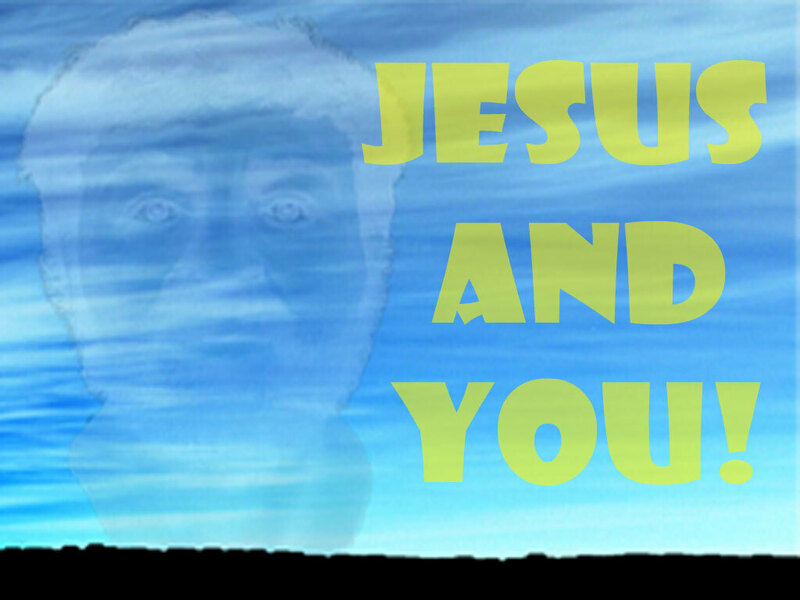 G' day welcome to Partakers and back to this little series, Jesus and you, looking at some people that met Jesus and how he changed their life and perceptions. Today we see somebody who accepted Jesus for who he was - a surprise to his disciples! John 4:1-42) Jesus, on his way back to Galillee, came to the Samaritan village of Sychar, near the field that Jacob gave to his son Joseph. Jacob's well was there; and Jesus, tired from the long walk, sat wearily beside the well about noontime. Soon a Samaritan woman came to draw water, and Jesus said to her, "Please give me a drink." He was alone at the time because his disciples had gone into the village to buy some food. The woman was surprised, for Jews refuse to have anything to do with Samaritans. She said to Jesus, "You are a Jew, and I am a Samaritan woman. Why are you asking me for a drink?" Jesus replied, "If you only knew the gift God has for you and who you are speaking to, you would ask me, and I would give you living water." Jesus went via Samaria as it was the shortest route back to Galilee. It was hot. Jesus was thirsty and wanted a drink. His disciples had gone into town to get food. So he asks a Samaritan woman to fetch him some water from the well. That he asked a Samaritan would have been bad enough, but to also talk to a woman! What does this tell about Jesus? It reveals his genuine humanity. He was tired, drained, hot, thirsty and hungry - normal human feelings and reactions. It also shows that Jesus contravened tradition in that he spoke to a woman who was a Samaritan and a sinner. Respectable Jewish men never did that sort of thing! By asking for a drink of water; he was putting himself in this woman's debt and showing his humility. It also reveals his divine nature! He knew the woman's life of sinfulness (John 4:17) and again, when he offered her the water of eternal life (John 4:14) and he was able to spiritually satisfy her(John 4:14)! Jesus, Loved the woman, an outcast from her community, and gave her the most revealing and explicit statement we have in the Gospels as to who He really was (John 4:26). In showing love for the woman, he transcended cultural barriers. Ordinary Jewish men would never ask a woman, let alone a Samaritan woman, for a drink! Hence the disciples reaction in John 4:27! But Jesus is no ordinary man, his love is for all, whether they be rich, learned, male, female, wanted and unwanted! This encounter between Jesus and the woman, shows us that Jesus' offer of salvation is for all people, and not just the Jews. The woman, did however, misunderstand one thing - the living water Jesus offered as she probably thought he meant running water or water from a river! But the living water Jesus offered was spiritual water to cleanse her from sin and give eternal life. Elsewhere in the Old Testament, God is described as "a fountain of living water" (Jeremiah 2:13; Jeremiah 17:13). When the disciples returned, the woman left her water jar and went back to the town to tell other people about Jesus (John 4:29-30). We read of the many people coming to faith because of the Samaritan woman's story (John 4:39-42) knowing Jesus as the saviour of the world (John 4:42). As Jesus' ministry continues, we know that He spoke to people regardless of their social status, education, nationality or gender. Again, I ask, who do you say Jesus is? But further, what are you going to do with this Jesus and let Him do to you? Mark 10:17-22: As Jesus started on his way; a man ran up to him and fell on his knees before him. "Good teacher," he asked, "what must I do to inherit eternal life?" "Why do you call me good?" Jesus answered. "No one is good-except God alone. You know the commandments: 'Do not murder, do not commit adultery, do not steal, do not give false testimony, do not defraud, honour your father and mother.'" "Teacher," he declared, "all these I have kept since I was a boy." Jesus looked at him and loved him. "One thing you lack," he said. "Go, sell everything you have and give to the poor, and you will have treasure in heaven. Then come, follow me." At this the man's face fell. He went away sad, because he had great wealth. Jesus looked around and said to his disciples, "How hard it is for the rich to enter the kingdom of God!" This story is in the three synoptic gospels, Matthew, Mark and Luke. Luke describes him as a wealthy ruler (Luke 18v18-27). Matthew describes him as a young man (Matthew 19v16-26). In Mark's account, he is simply a man (Mark 10v17-22). Put altogether that makes him a rich young ruler. He runs up to Jesus and falls on his knees before him. He wants eternal life, wants it now and so asks Jesus about it. When he calls Jesus a good teacher, Jesus responds "No one is good-except God alone." Now Jesus could have been correcting the young man, but more likely Jesus was asking: "Do you know what you are saying and how close to the truth about me you are?" This young man had fully kept the commandments listed by Jesus (Mark 10v19). However when Jesus said to the young ruler that in order to follow Him, he would have to give up all his wealth in order to have treasure in heaven and eternal life, the man left disconsolate. That was a step too far for the rich young ruler. He wanted his riches and also eternal life but Jesus said he couldn't have both. He remains the only man who left Jesus' presence sorrowful, and that due to putting his trust in his riches and wealth alone. Now riches are not necessarily wrong but they do make trusting fully in God very difficult (Mark 10v23). I ask, who do you say this Jesus is? But further, what are you going to do with this Jesus and let Him do to you?